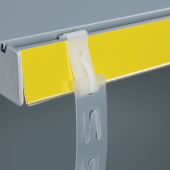 How does the Shelf Edge Clip work? 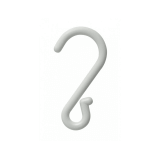 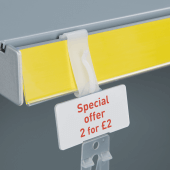 You simply clip it onto the front channel of your desired shelf edge strip / scanner rail and use the hook attachment to then attach your clip strips for merchandising. 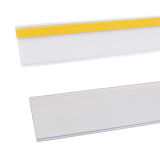 How many strip clips are in each pack? 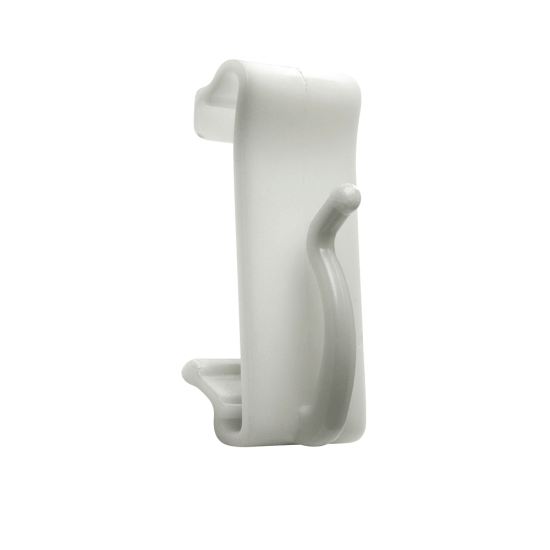 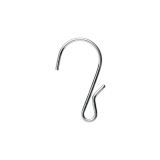 The Shelf Edge Clips for Merchandising Strips are supplied in packs of 100. Will these strip clips fit my shelf? 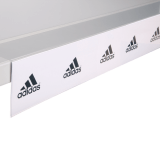 Our shelf clips fit into a standard 39mm high scanner rail shelf edge with front channel to create a movable location for clip strip displays.